What do you want in a bathroom? Well, besides everything working properly and no dripping faucets, that is. Just kidding. 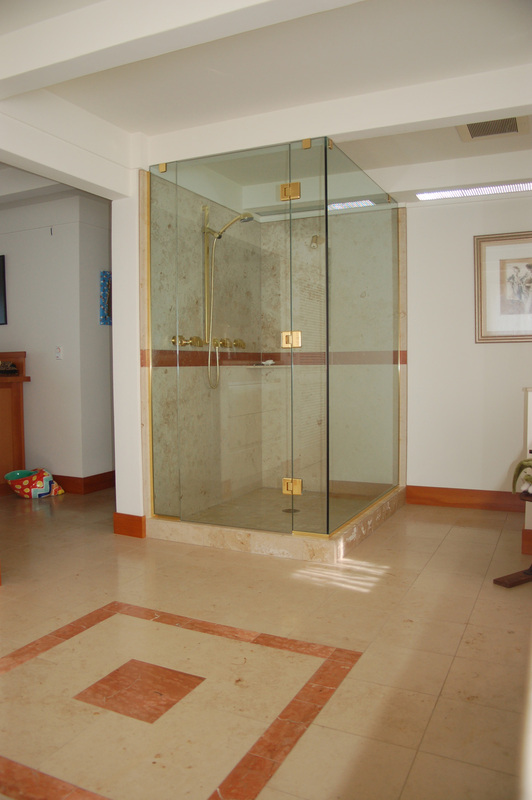 Some research has shown that today’s bathrooms are trending toward larger, airy showers with hinged glass doors, like a spa. 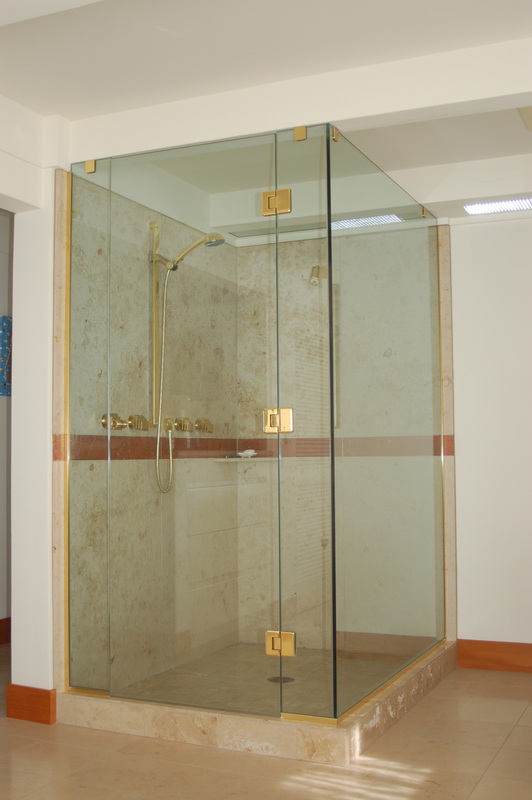 Another trend in showers is to turn it into a steam shower, or to build a seperate steam room, with features required for steam rooms such as a sloped ceiling to drain condensation, a floor drain, tile or marble on all surfaces and a vapor-tight door, and insulated walls all around. 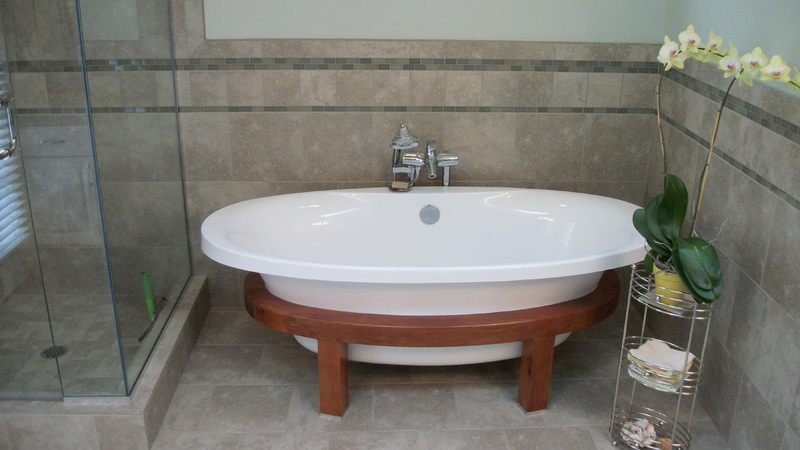 Jacuzzi tubs are being replaced with soaking tubs, for a quiet, serene bath experience. Last but certainly not least, is a good quality, quiet exhaust fan powerful enough to pull the moisture out so those mirrors and glass surfaces clear quickly. Automatic fans with humidity sensors are a great feature. 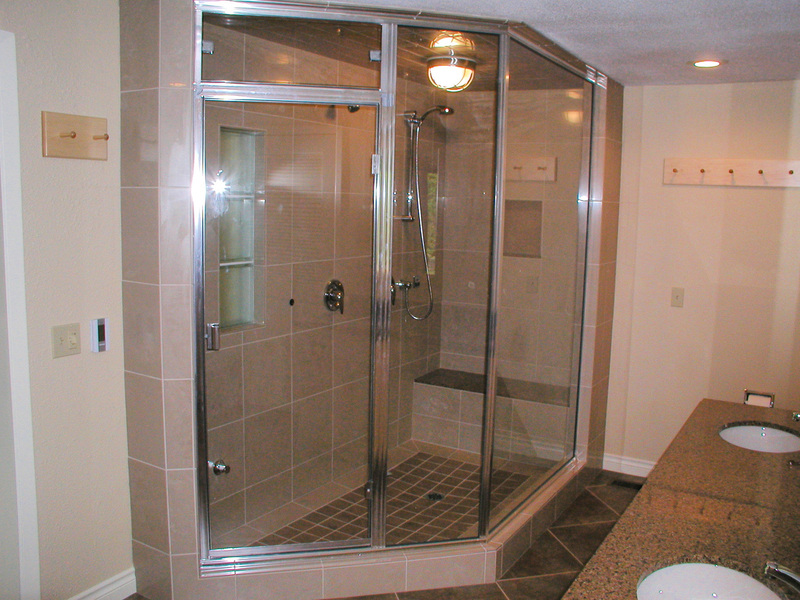 Radiant heated floors and heated towel bars are requested more often. 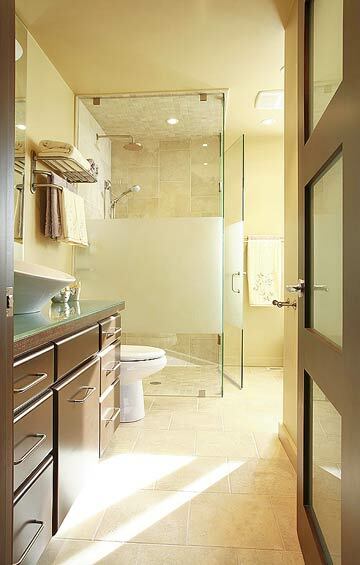 Stone tile flooring has more warmth to it than glazed tile. For more information about remodeling your bathroom, including ordering a free workbook, visit the National Kitchen and Bath Association. 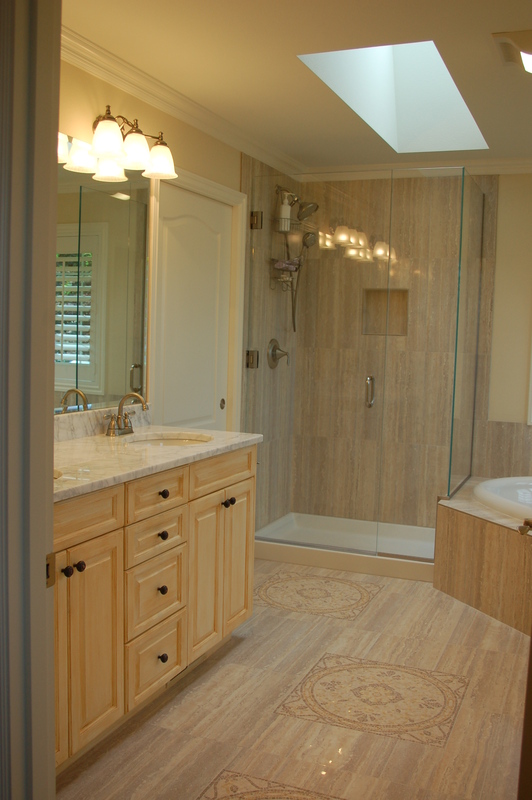 This contemporary tub with wood framed legs distinguishes this master bath. 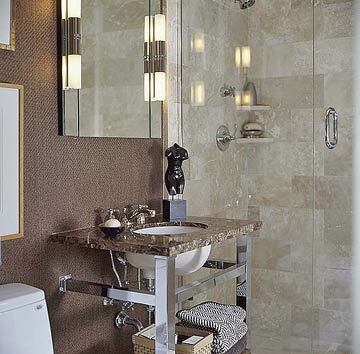 Tub filler is the Kohler Symbol Roman tub filler, with handshower in polished chrome. 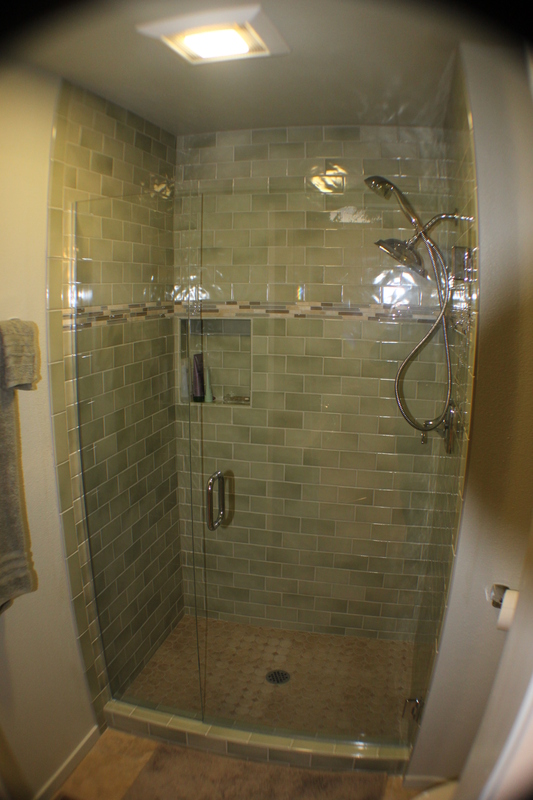 The shower tile has 3 soft grey tile strips for contrast. 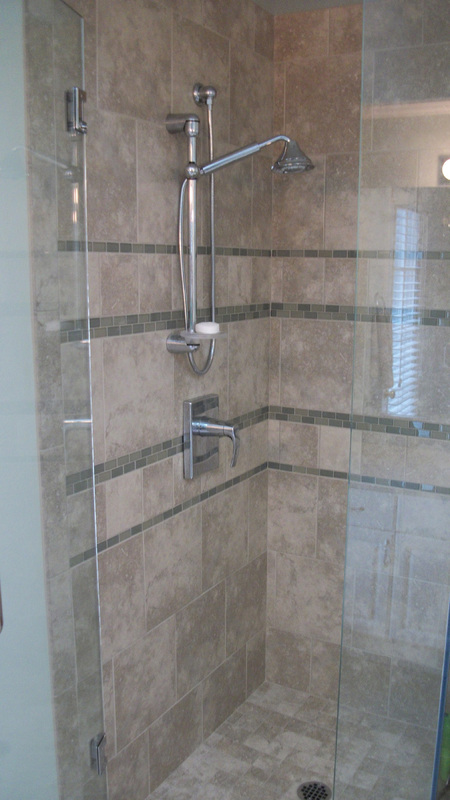 Kohler symbol valve trim with slidebar, handshower, hose and wall outlet in polished chrome provide a great shower experience. 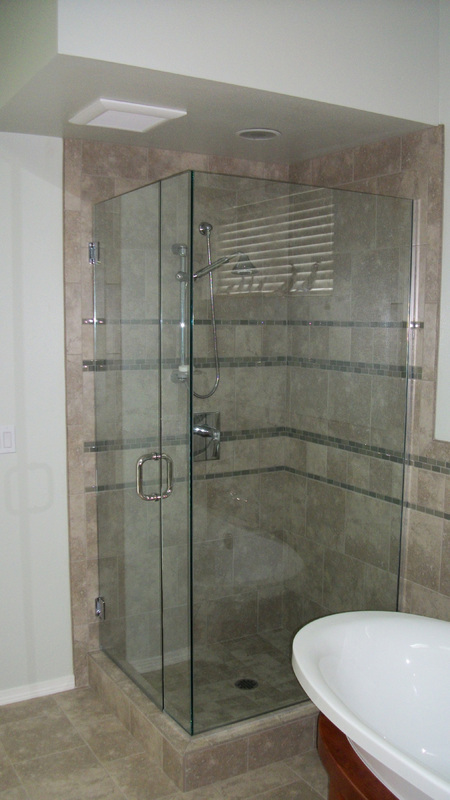 Clear glass shower surround opens up the space and shows off the shower tile.